The Project Management Institute (PMI) encourages its members to advance the profession. One of the ways to do this is by helping others increase their project management skills. The target audiences for this blog are professional PM’s early in their careers as well as those who manage projects but are not PM’s by title or trade. I will be posting every week or so, offering practical tips and tools on the full range of project management topics. I hope you will find this useful and help you advance your career. It will greatly enhance your job opportunities and career advancement prospects. The PMP certification is a validation of your knowledge and experience, and shows a commitment to ongoing education in the discipline. Many organizations use the PMP certification as a filter to select qualified candidates to interview. Without the PMP, in many cases you will not even be able to get a phone screen interview. It will make you a better Project Manager! In my personal experience, just studying for the PMP exam will improve your abilities as a Project Manager. How? It will introduce you to processes, tools and techniques you will likely have never used as a “seat of the pants” Project Manager. You will use this additional knowledge in your future projects and see how they greatly improve the quality of your outcomes. You cannot go into the PMP exam hoping to pass it just based on your project management real-world experience. The PMI wants you to know and understand best practices, and also wants you to approach project management using their paradigm. You cannot pass without knowing these things. In Part 2 of this post, I will share with you the methods I used to study for and pass the exam on the first attempt. It didn’t cost anywhere near the $1200 or so some companies charge for PMP prep classes. I hope you find it useful and informative. These are in addition to the Business Event/Response technique which I discussed in detail in a prior post. These techniques can be considered a “toolbox” from which you can select the appropriate tools for the job. You will likely never use all of these in a single project. Based on the type of project you are working on, you will select the techniques that fit the size, background and scope of the project. Every Project Manager should have familiarity with these techniques and be able to apply them. They are core techniques in the Business Analyst’s Body of Knowledge (BABOK). If you are a Project Manager and don’t currently perform the Business Analyst function, I encourage you to get training in this area. PM’s that can perform this function are immensely valuable to their organizations. Feel free to leave comments on your own experiences as a Business Analyst. Include what worked well, what didn’t and why. The acronym SWOT stands for “Strengths, Weaknesses, Opportunities, Threats”. It can be a useful tool to analyze a business process undergoing change. Honest evaluation from all parties is important here. The group undergoing the evaluation must not feel threatened by the analysis. Note that “Opportunities and Threats” are external factors beyond the scope of control of the assessed group. As with all endeavors in the field of project management, always make sure you have first defined your objectives and expected outcomes of the analysis. This will ensure that proper use is made of the results. The SWOT evaluation team should be comprised of a cross-section of middle and upper management of the business process owners, as well as those who actually participate in the execution of the business process. The team should be instructed to first identify the Strengths, Weaknesses, Opportunities and Threats independently to avoid group bias. Then the group is brought together to compare notes and agree on the final list. SO – How can the groups strengths be leveraged to exploit the potential opportunities? ST – How can the group use its strengths to ward off potential threats? WO – Can the group use an opportunity to eliminate or mitigate a weakness? WT – Can the group restructure itself to avoid a threat? The answers are analyzed to determine cost of implementing vs. value and from that you can determine which of these the project sponsor wishes to include as part of the business requirements for the project. For some projects you may need to gather information from many people in a short time. When you have this condition, surveys and questionnaires can be very efficient. First lets define the terms. A survey encompasses all aspects of the research process (design, construction, sampling method, data collection and response analysis). A questionnaire is a tool used for a survey and is a set of questions with a choice of answers. Construction – “Who will determine the questions to ask?”; “How many questions will be asked?”; “Will you allow open-ended responses?”; “Who will create and distribute the questionnaire?”. A tool such as Survey Monkey can be useful. Sampling Method – You will need to define the target population. If the entire population is sufficiently small, you can include everyone. If the population is large, you will need to use statistical sampling methods. Consult the statistician on your team or company for advice on the various methods. Data Collection – The method of data collection should have been determined in design. Collect and summarize the data as a prerequisite to response analysis. Response Analysis – This ties in to the objectives you defined in design. The method and people involved were determined in design. The responses are used to guide the direction of the requirements. The purpose of root-cause analysis is to determine the underlying source of a problem under study. Doing this will help ensure the requirements attack the real problem and not just the symptoms. A critical element is to challenge the current business thinking and processes. You want to overcome the “we’ve always done it that way” answer to the question “Why do you do this?”. I recently managed a project where it took interviews with dozens of people to finally get the answer to the question of why the pay week started on a Saturday instead of Sunday where the sales week started. One technique to analyze the root cause is the “five whys” to explore the nature and true cause of a problem. This means repeatedly asking “why” after a question is answered until you uncover the real root cause. It may be more or fewer than five, but five is a good rule of thumb. You can create a visual of your “five whys” analysis using a “Cause Map”. A Cause Map is simply a block on the left that identifies the problem, an arrow labeled “why” going left to right to another block that answers the question, then an arrow labeled “why” going left to right to the next answer and so on until the root cause is identified. Root Cause Analysis is a good addition to your requirements analysis repertoire. If your project is not addressing the true root causes of the problem definition then you are unlikely to achieve the defined business objectives. Prototypes are the shell of an actual production application and are used to provide insight into the look, feel and flow of an application. The main purpose is to gather requirements related to the user interface. A “throw away” prototype seeks to quickly uncover and clarify system interface requirements. It is especially useful in cases where the most efficient workflow can only be discovered with hands-on experience. Some have made the mistake of thinking prototyping is all you need to do to gather requirements. This will almost always be a costly mistake! Other requirements techniques will need to be used to get a complete set. When you obtain the user interface requirements using prototyping, the next step is to integrate these requirements with your use cases, scenarios, data model and business rules. Your new discoveries will usually result in changes to previously gathered requirements. Horizontal Prototype – models a shallow and wide view of the system’s functionality. It typically does not have any business logic running behind the visualization. Vertical Prototype – models a deep and narrow slice of the system’s functionality. 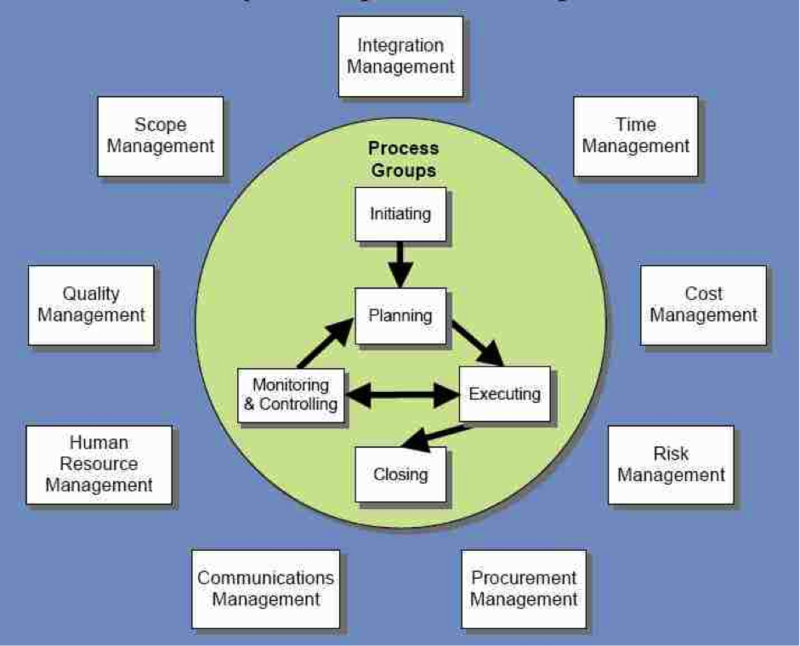 There usually will be some business logic built to uncover complex requirements. It is a judgment call as to whether or not to use prototyping on a particular project. You must weigh factors such as the importance of the user interface, the clarity of the requirements gathered via other methods, the difficulty in building the prototype, and time constraints. In many cases of gathering requirements, there is no substitution for actually observing the process as it happens. You will find that often the way things are done contradict what is written in process manuals. These deviations are important as they usually reveal an inefficiency or deficiency in the process, and the user felt the need to employ a different method. This is valuable information for process improvement! You should be aware that at times just the fact that a process is being observed can make the user change how they usually do things. It is important to make the people being observed comfortable with why they are being observed and the objectives of the observation. Openness and honesty are important. Solicit their input and suggestions. The dates and times are important as you need to know if this is considered peak/normal/low volume time. This is a key consideration regarding the observation objectives. After the observations are complete, you should meet with key project staff and stakeholders to discuss findings and their impact on the requirements.